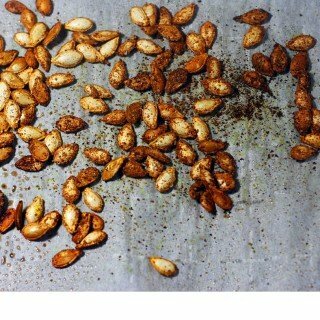 These roasted seasoned squash seeds are just a little slice of heaven!!! I shared my homemade seasoned salt recipe, yesterday, which was inspired by a butternut squash and sweet potato soup! I am really into using everything lately! Making vegetable stock with the extras of veggies, using the excess chicken for stock, so what better than using the seeds from a butternut squash for a snack or a garnish for soup! Pairing the butternut squash seeds with the seasoned salt equals truly scrumptious and totally delicious treat! Well, I have to tell you , this is by far, my most favorite little snack! I actually ate most of them before they made them into my butternut squash soup and barely had enough left for photos for the soup, which will be on the blog very soon! Also quite yummo! I used the Homemade Seasoning Salt , on the butternut squash seeds and it was truly yum! They added a wonderful crunch and made the meal truly complete. Just delicious and satisfying ! This is one of those things that can be made and added as a garnish or a really great low-calorie snack! So if you are making squash for other things, please think about saving the seeds and using them for either a garnish or snack! So low- calorie and tasting so great! If I had any left, which rarely happens, I store them in a closed container! I would love to advise how long they last, but I cannot, because they rarely make it two days in mi casa! Use the seeds from winter squash, like butternut squash or acorn squash! They make a great snack and I use my seasoning salt on the squash and it is an amazing snack or garnishes for soup! In a Ziploc bag, add a teaspoon of the seasoning salt and the butternut squash seeds, combine and blend well! On a cookie sheet, place a sheet of parchment paper and place the seasoned seeds onto the cookie sheet. Spray with olive oil spray, and bake for about 10 minutes. Keep them in a covered container for about a week! these look great looking forward to making these soon. Excellent Anne. These are great! Yum, those look really good. I need to try these! I have never liked anything pumpkin, but I do love pumpkin seeds. Such an easy and yummy snack! I think these look great. I’ve been trying to find more ideas to get seeds into my diet. I’ll definitely give it a shot! That looks tasty! I love snacking on squash seeds. Can’t wait to try this. This recipe looks amazing! I’ve never tried roasted squash seeds before, look tasty ! snacking on nuts and seeds is heaven to me! Love this ideas with squash seeds! Mmm…this is such a seasonal treat that the whole family enjoys! They fill the house with a great aroma and are very tasty to munch on. These look like a great treat. I love how tasty they look and how good for you they are. Me tooo, hope you try them out , they are so tasty! I never thought of using squash seeds! What a great idea! They look so tasty! I have roasted pumpkin seeds but never even thought about roasting squash seeds! What a marvelous idea and that seasoned salt sounds really good as well! These look like delicious and healthy snacks. I used to get squash seeds at the supermarket, but preparing them yourself seems like a better way to enjoy it. Thanks for sharing! 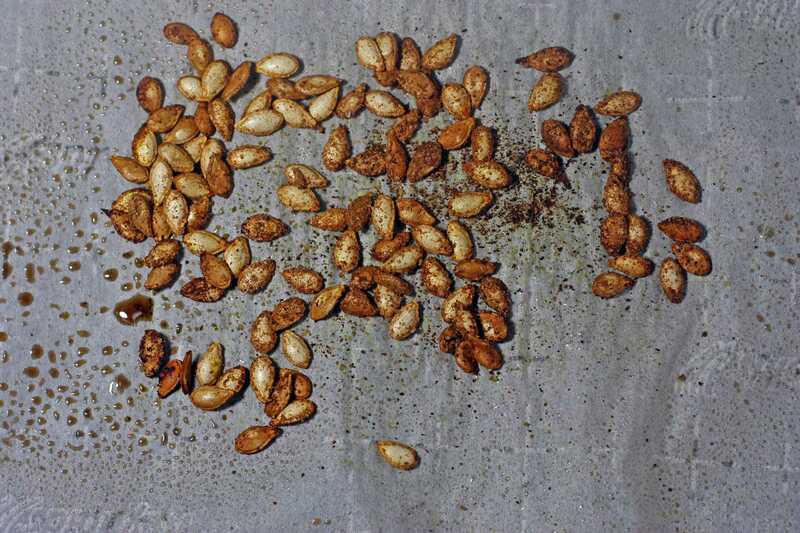 I have to admit I have never thought to roast the squash seeds but it is the same as the pumpkin seeds. This I will have to try doing and I will have to share this with my sister too. Thanks for sharing the recipe. I’ve never had squash seeds before! What a great idea! I can’t wait to try this out! Thank you – hope you enjoy! I haven’t tried squash seeds before, but I’m sure they taste as good as the pumpkin ones. Thanks for sharing your recipe! Why have I never had these before? They look yummy and I am all about salty snacks. So simple and easy – can’t wait to make these. Those look really good. I love roasted chickpeas, and I bet these would be a good treat too. Those look delicious! I haven’t ever had these before, but your photos make me want to try them asap! Thank you and I hope you give them a go! wow, that looks like a pretty tasty treat to munch on…yum! I love using “everything” and not wasting so will definitely try this. I so agree Ava, waste nothing! Oh wow. This looks and seems yummy. It makes me want to get and try this myself. I’ve had pumpkin seeds like this before, but ever squash seeds. I think they sound great! 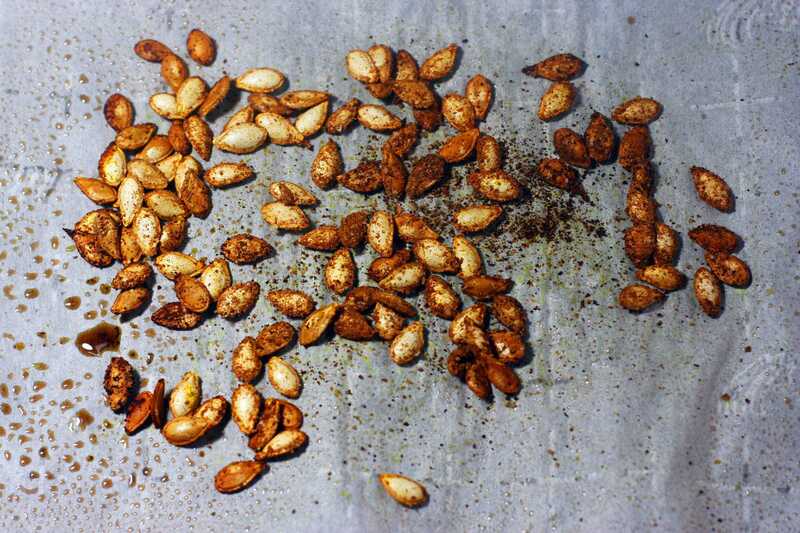 These roasted squash seeds look delicious and easy to use the seeds!! The perfect recipe to go with your seasoning, and for a healthy snack to get us through the holiday months and into the new year! Sounds delicious….and I can almost smell them from the photos! I really love this roasted pumpkin seed. I always eat this especially when watching movies. Thanks for sharing. That looks yummy. I prefer snacking with squash seeds rather than noshing on sweet and calorie packed snacks. Yes, these are way better and tasty! These look so good! I love pumpkin seeds but I’ve never tried to make roasted squash seeds. I’ll have to do this next time I have a squash in the house! I roast pumpkins seeds every year but have never thought to do squash! Great idea. Will have to roast some this weekend as I already have the squash to cook. This is perfect for midnight snacks. I’m sure my husband would love it. He will request it to me lol. I hope he enjoys Lexie! What a delicious and easy to use the seeds. They look addictive with that homemade seasoning salt. 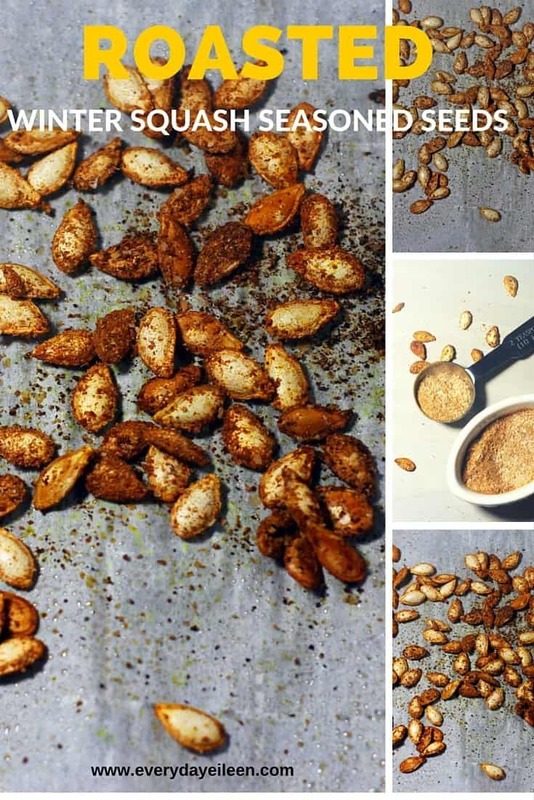 We always enjoy roasting pumpkin seeds, but I’d never thought about squash seeds! We’ll be trying this! Fantastic and I hope you enjoy! These look delicious! 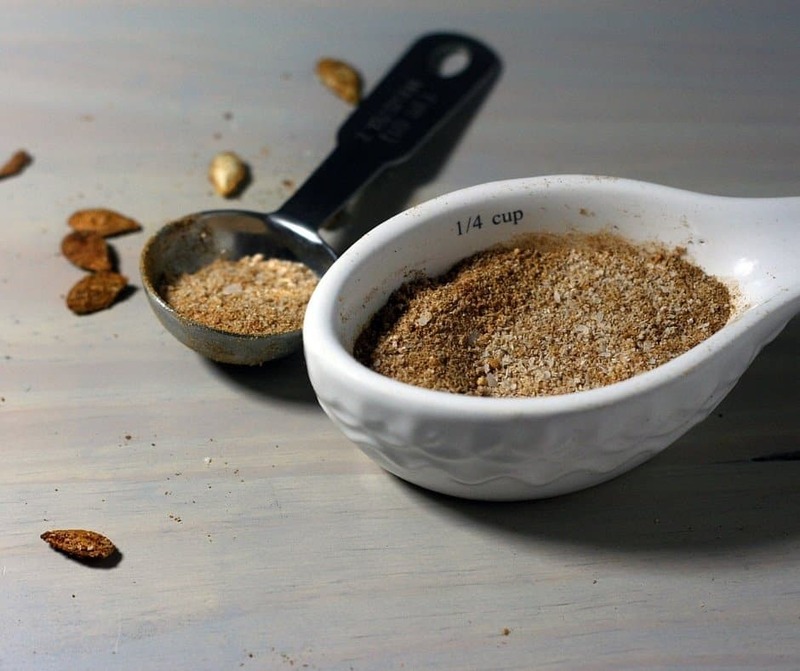 I love snacking on seeds for added protein and power, and I love the idea of a homemade salt mix. Thank you, we love them and the seasoning salt at our house! These roasted squash seeds look delicious. I have two squashes on my counter that are ready to be cooked and I will be trying this recipe, thanks. I am so glad Sara, I hope your family enjoys the snack! You know I just roasted an acorn squash and promptly threw out the seeds! Never occurred to me to roast those too! Now I need to go get another one and try this! Thanks. I wish I would have had this recipe earlier when I made some squash. It’s going on my pinterest board, stat! Aren’t you the smart one using your homemade seasoning! Those looks yummy! Thank you Claudette! Its delish! I don’t eat squash, so I never even knew they had seeds. How cool. I will have to try these. I have never tried squash seeds before but they sound delicious! I’ve only had pumpkin, so I’m anxious to give this a try! I just made a bunch of winter squash and tossed the seeds. I will cook them next time for sure. These are equally as good and with the seasoning salt, really yummy! I’m totally into roasted seeds so I know without a doubt I’ll love these! I can’t wait to snack on some. I love snacking on squash seeds when I’m binge watching shows on netflix. This is definitely perfect! Looks so flavorful too!